Siblings. Would you live differently if you knew the date of your death? 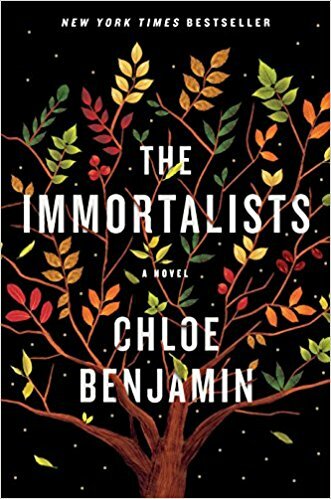 Chloe Benjamin explores that question in her finely written novel titled, The Immortalists. After the four Gold siblings visit a fortune teller and are told when they will die, each individual makes choices about life because of what was foretold. Thanks to her finely written prose and deep character development, skeptical readers can overlook the magical dimension of their shared formative experience. Each sibling chooses differently how to incorporate into their lives what they were told in their youth. Benjamin develops each sibling’s life by drawing readers into specific times and places as she steadily maintained the novel’s momentum. Rating: Five-star (I love it) Click here to purchase The Immortalists from amazon.com.